“Yeah, yeah, I do,” a (relatively) conservatively dressed Gaga told the talk show host, 58, when asked if she was serious about wanting a large family. “I mean I’m being superfluous [about the soccer team], but I don’t want to have one [child], I want a few.” Gaga adds that she also wants a husband. Making a gesture to indicate a baby bump, the singer tells Winfrey, “I want to experience that.” But don’t expect her to settle down anytime soon. 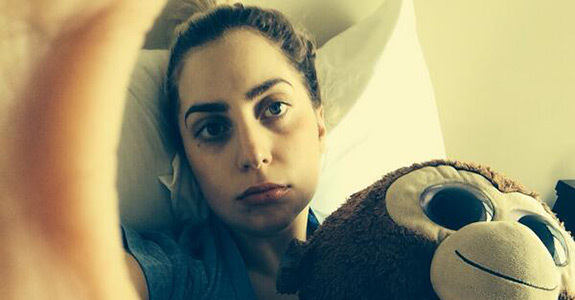 Gaga wants a family – just “not yet,” she says with a smile. Look, I have no doubt that, if Gaga were to settle down and cut down on the whole “I’m living art!” crap, she would be a good mother. Everyone has the potential to be a good parent if they actually attain the maturity, both physical and emotional, to learn to put someone ahead of themselves. That being said, right now, she’s an art installation. As beautiful as the Mona Lisa is, I wouldn’t let it raise a child. When Gaga’s ready to settle down and be a human being instead of performance art, I say more power to her, she can pop as many babies out as she wants.